Sprot­te, Maik Hen­drik (2013): „The Con­quest of Bread: Ear­ly Japa­nese Socia­lism and the Rus­sian Revo­lu­tion of 1905 as an Inspi­ra­tion.“ In: Fischer von Wei­kers­thal, Felicitas/ Grü­ner, Frank/ Hoh­ler, Susanne/ Sche­de­wie, Franziska/ Utz, Rapha­el (Hg. 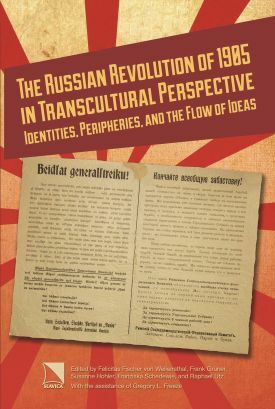 ): The Rus­sian Revo­lu­tion of 1905 in Trans­cul­tu­ral Per­spec­tive. Iden­ti­ties, Peri­phe­ries, and the Flow of Ide­as. Bloo­m­ing­ton, IN. : Sla­vica Publis­hers, S. 325—337.